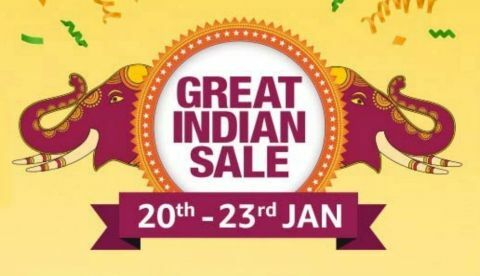 Amazon is hosting a Great Indian sale from January 20 to January 23. The sale is now on day 3 and we have jotted down the best deals that we have found on the platform today. Amazon's first big sale of 2019 is live now and we have found some pretty great deals that we have listed down in this article. Amazon has also partnered with HDFC bank and offering an extra 10% discount to those who will make payment via the bank's debit or credit card. So, let’s begin. The UE Boom 3 is wireless music streaming device that offers a battery life of up to 15 hours. The speaker is waterproof and can survive in up to 1M of water for 30 minutes. The device is available at a discounted price of Rs 12,999. During the sale, you will also get a free Echo Input on purchasing UE Boom 3. Besides that, one can also get an extra 10% discount on their purchase via an HDFC bank card. Check out the deal here. The Acer Nitro i5 Gaming Laptop is now up for sale and available at a discounted price of Rs 60,990 down from its MRP of Rs 89,990. You can also get additional cash back from the bank on this purchase. Check out the deal here. The Samsung Gear S3 Frontier Smartwatch is also available on the sale with a discount of Rs 10,000. The watch is priced at Rs 17,990 down from its launch price of Rs 28,500. Check out the deal here. The Sennheiser HD 4.50 is a wireless over-the-ear noise canceling headphone that is available on the sale with a flat 50% discount. The headphones are available for Rs 7,490 down from its original price of Rs 14,990. Check out the deal here. The Mi full HD LED Smart TV also get a price cut and is now available on Amazon for Rs 29,999. This smart TV comes with a built-in Chromecast and Google voice search. Check out the deal here. How the Amazon Cloud Player Works ?